Mansfield Town’s first pre-season friendly prior to the 2016/17 campaign will be away at Carlton Town on Saturday, July 9. 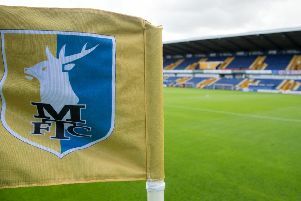 The Stags enjoy a good relationship with the Millers and the aforementioned match will take place alongside Carlton’s ‘beer, cider and sausage festival’ on Friday, 8 and Saturday 9 July. The match will kick-off at 4pm at the Bill Stokeld Stadium, Stoke Lane, Gedling – home of the Evo-Stik South club. Carlton Town chairman Mick Garton said he was looking forward to welcoming the Stags to the Bill Stokeld Stadium after building a good relationship with the club, which has included taking some of the Stags’ youngsters on loan. “We have worked very closely with Mansfield this season on loan deals for mutual benefit and we are delighted Carlton and Mansfield fans can attend a game, hopefully in superb sunshine, and try out a cracking range of real ale on our sun-soaked terrace and enjoy some football in the process,” said Garton.